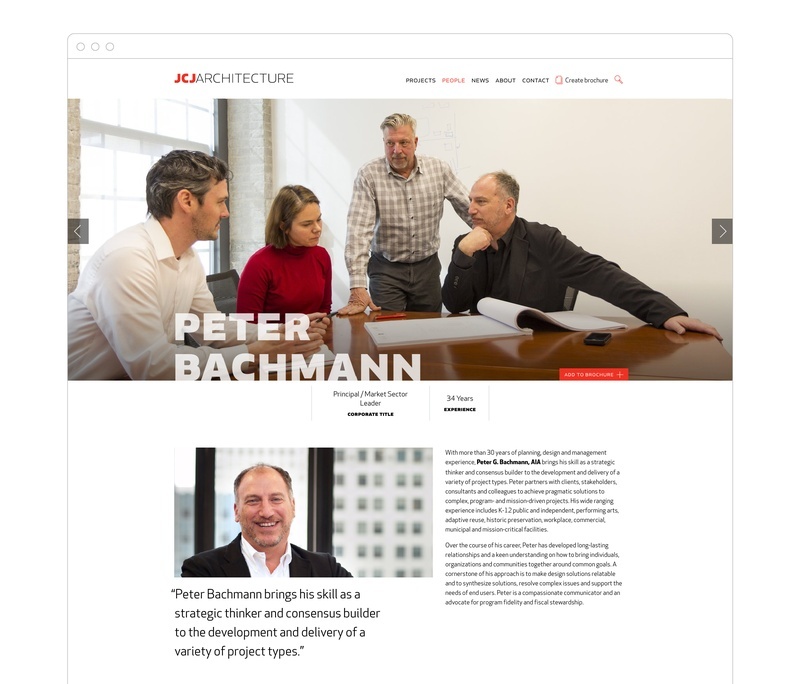 The bold and accessible website redesign for JCJ Architecture reflects the client's philosophy: design is a conductor for human expression and endeavor. The JCJ custom typeface and signature red color play off the firm's existing brand in a contemporary and playful way. A key feature of the site is a custom-coded, sophisticated, and modular template builder. Based on the Django content management system, the template creator powers dynamic, out of the ordinary layouts that accomodate content including images, videos, body text, statistics, and pull quotes. 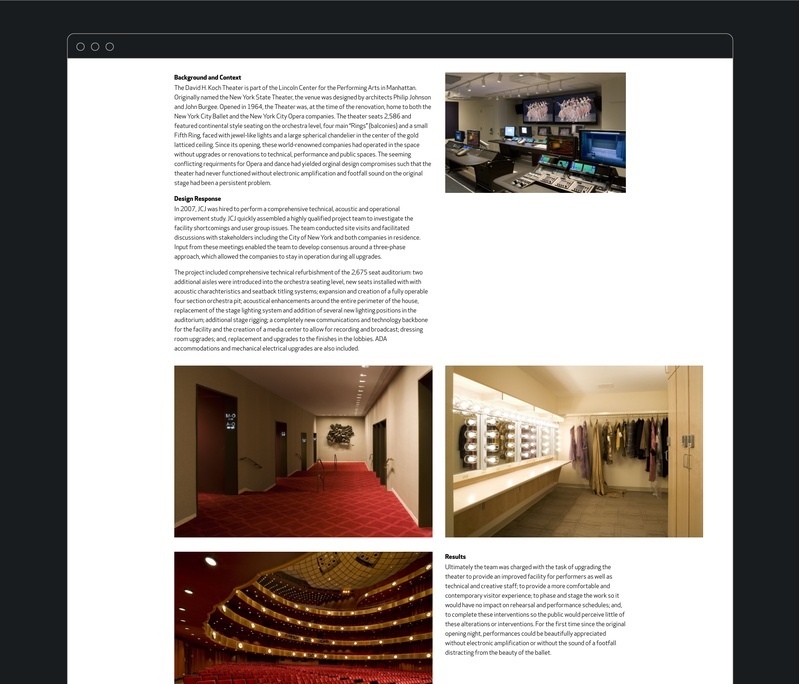 The result is a layout that looks like a feature story in a magazine, not a typical website. 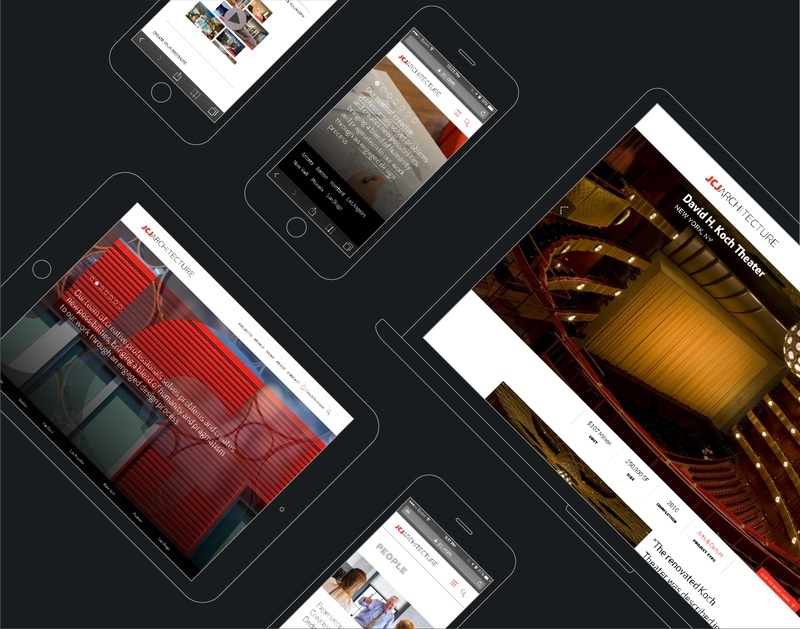 These modular layouts are arranged in multiple columns and responsively display on a variety of devices. 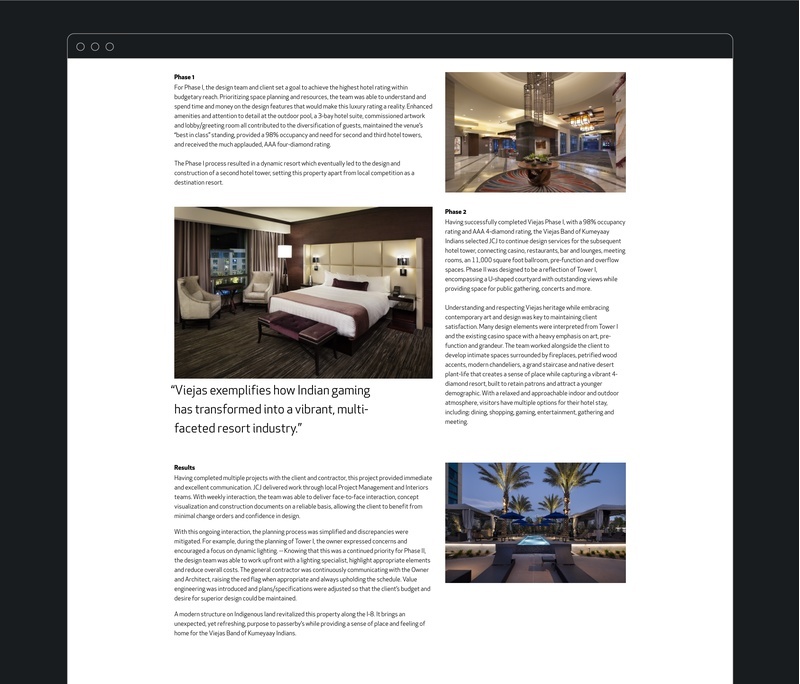 This flexible editorial approach allows for the creation of both complex articles and simple project pages within the boundaries of one fluid and configurable template. A new organizing principle allows users to quickly configure the content that is relevant to them, facilitating the promotion of JCJ’s diverse practice areas. 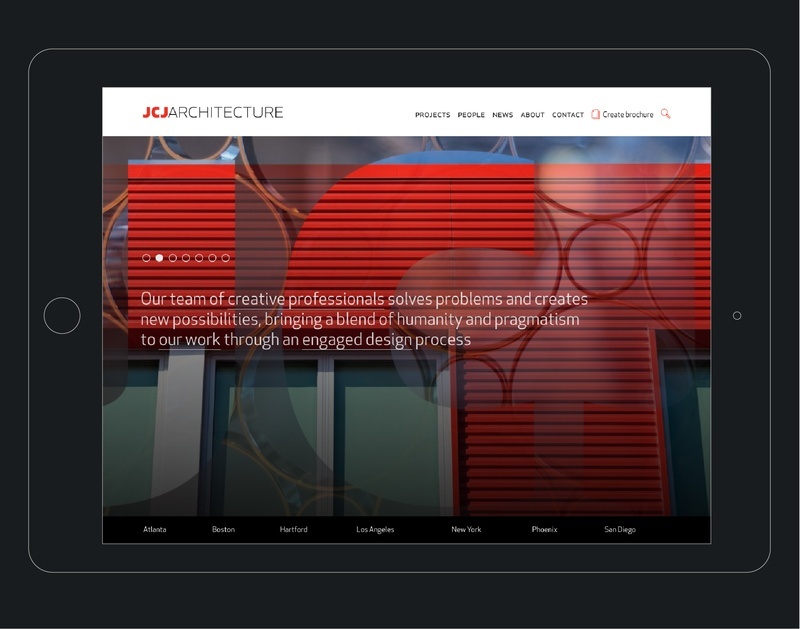 The Create Brochure function is an exclusive feature to the JCJ website. While exploring the site a user can add their favorite projects, staff biosand articles, and intuitively organize the pages into a brochure. Once complete, both JCJ admin and potential clients alike can instantly download a branded and targeted PDF as a takeaway. C&G Partners website design helps redefine the web presence of this diverse planning, architecture, and interior design practice, providing a platform to express their personality and point of view.